Clinical trials have explored the use of Pre and Post-Operative Acupuncture in the management of pain, nausea and vomiting. 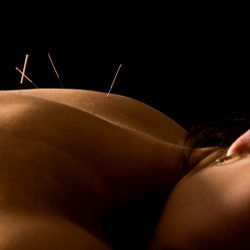 Patients have also found a course of Acupuncture before surgery is helpful for the healing process afterwards. From a Traditional Acupuncture viewpoint this is due to Qi (life force) now circulating freely and in sufficient quantities in the Acupuncture channels to promote a healthy immune system and a relaxed mind and body. I would like to take a moment of your time and offer you feedback on my recent experience of receiving pre-surgery acupuncture. As you are aware I suffer with chronic Menieres’ Disease which resulted in the need for major surgery in March 2009. Post operation this course of pre-surgery treatment has without a doubt accelerated the healing/recovery process, to such an extent that my consultant commented on how unusually well, comfortable and relaxed I appeared after such an invasive procedure. I thank you for your professional assistance over this difficult period in my life. I certainly feel recharged, relaxed and more balanced. Once again thank you.